In August 2016 the International Olympic Committee announced that Surfing would be included in the Tokyo 2020 Summer Olympics as a demonstration sport. 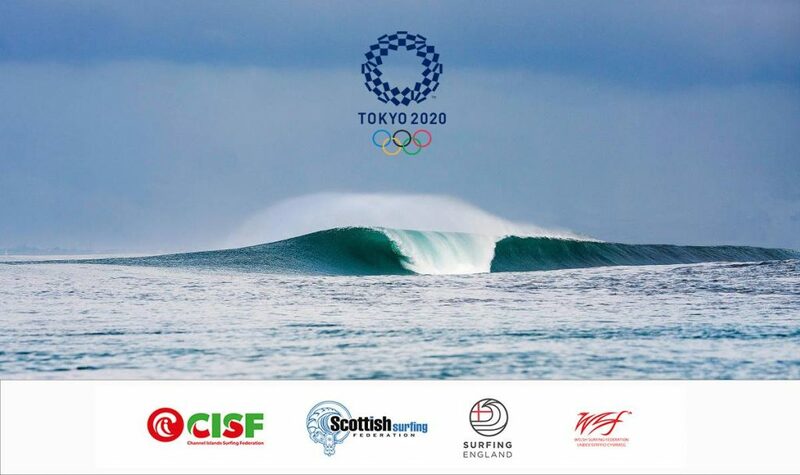 On 16th March 2018 the International Olympic Committee (IOC) released to all the National Olympic Committees (NOCs) the approved qualification system for Surfing’s Olympic debut at Tokyo 2020. 2019 Pan American Games: First eligible man and first eligible women in the surfing competitions. Athletes will return to represent the home nations at the ISA World Games after the Olympic Qualification events are completed. 2 out of every 4 ISA World Games could potentially become Olympic Qualification events should surfing also be included in subsequent Olympic Games. In the meantime we can confirm that all surfers will be required to make themselves available to be part of Surfing Team GB for the 2019 and 2020 World Surfing Games, and if selected will be required to participate. Failure to meet this requirement will render the surfer ineligible for the Olympic Games. Information on the selection process for Team GB will be released in due course. We have made submissions of funding requests and submission of all relevant data to UK Sport. On extensive analysis, UK Sport believe it is currently unlikely that currently any British surfer will win a medal in Tokyo 2020. UK Sport investment is wholly focused on medal winning performances to inspire our nation. It is also yet to be confirmed if surfing will be in the 2024 and 2028 Olympics which also makes attracting investment into surfing a challenge. We will continue to collectively work to source performance funding. We collectively recommend to all interested surfers that in order to attract funding from UK Sport, podium results in major international events needs to be achieved. Should podium performances be achieved, this would be clear evidence of medal potential at the Olympics and allow us to put forward a better case for UK Sport funding. Collectively the Home Nation Federations will continue to monitor the status of the Olympic pathway and we are in close communication with all the relevant governing and decision-making bodies. If you have any further questions, please contact your respective home nations body and for further information please visit their websites or the International Surfing Association website.